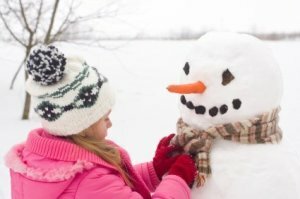 Creating a snowman can be a fun winter outdoor activity for the whole family. 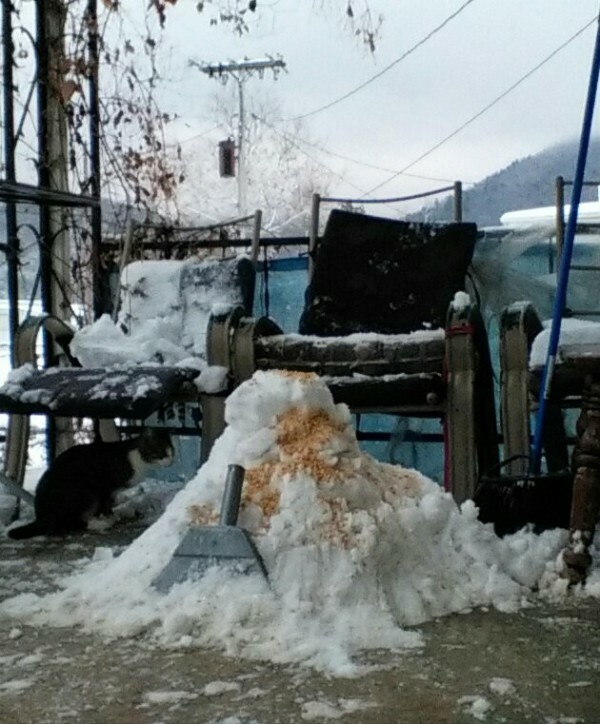 This guild is about building a snowman. We were playing in the front yard as we had quite a snowfall the night before. 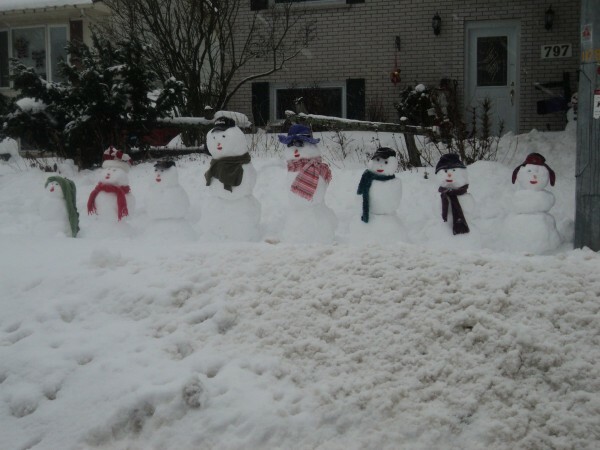 One thing led to another and we ended up with a family of snowmen, and had great fun doing it! 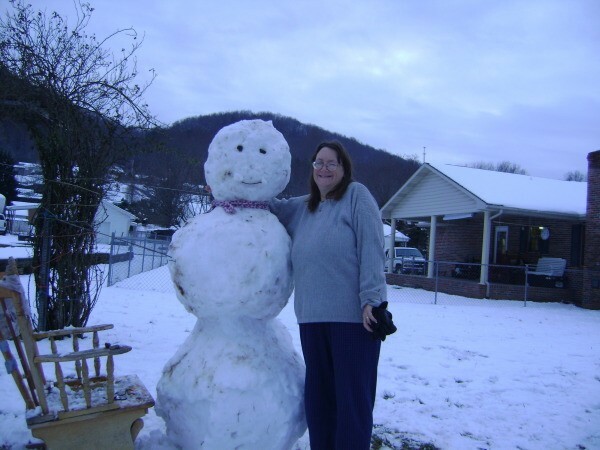 A very happy looking snowman who sits in front of the car at our carport. He looks pretty at home in all this snow! 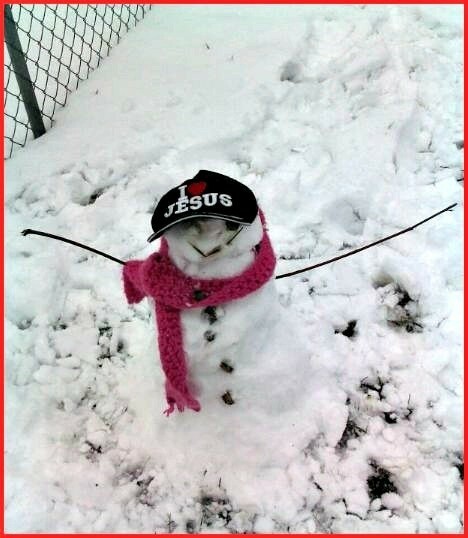 Maybe there isn't enough snow on the ground to build a proper snow man, or you are lacking the energy to do it. You can still create a cheery buddy. Just find an accessible snow drift. You might need to add a ball on top for the head, and then just go for it. Poke sticks in to hold gloves and boots. The children went out back to make a snowman. I was sure they would get a small one and call me out there. When I went out there to look, they had made a giant one. They used a chair to finish the details on the head.